Techniques for traffic conversion are well known in the Internet marketing community, but most that are used are basic. They work well, but not spectacularly. What you need is to find a new twist on traffic conversion. Perhaps what you need isn’t something different, but a different approach. You might find that taking an unexpected route is just what your site needs to increase buyer response. Replace “want” with “fear.” Sure it’s great that a viewer wants your product, but desire isn’t as strong as fear. Make your sales copy emphasize the scarcity of the product and how terrible it would be to miss out. Now the reader pictures the competition making money while he’s still fighting with fonts. That’s fear – fear of being left out. Professional writers know how to get that same information across in fresh ways so that each section of the sales letter is familiar, yet not repetitious. If you don’t have the skill do to that, then hire a professional copywriter. What you pay for a good sales letter is a direct investment in traffic conversion. 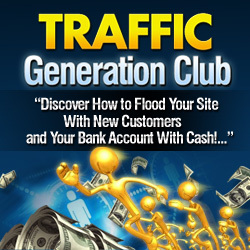 Consider it a one-time expense for endless traffic conversion opportunities. Raise the price. But wait, if sales are falling, why would charging more be better? You may have under-priced your product, which gives it a lower value in the viewer’s perspective. Add another section or package with a second information product. Make a Limited Time Offer. Create urgency by offering a one time purchase to a limited number of buyers for a short time. This plays to fear (“what if I miss it”) and scarcity (“I want it before someone else gets it”). Then take it off the market at the end of the offer. Nothing discredits you more than repeated “limited time” runs. Remove the product, make a few changes or updates and add something else to the package. Then – and only then – can you bring back the product without losing face and buyers.